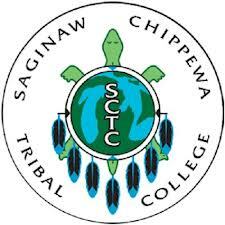 Saginaw Chippewa Tribal College (SCTC) is a community college located in Mount Pleasant, Michigan. In 1998, the Saginaw Chippewa Tribal Council adopted a resolution establishing a tribally controlled college and forming a governing Board of Regents. While the primary focus was to build a bridge between tribal members and higher education, the college was chartered as a public institution for all people in the community. In passing their resolution to establish the college, the Tribal Council sought to increase access to higher education and to expand educational and career opportunities for the tribal community. The Tribal Council also was taking responsibility to provide for the future of the tribe by investing in its most valuable resource, its members and employees. The establishment of Saginaw Chippewa Tribal College was an important step in an educational empowerment process that seeks to preserve and maintain the Saginaw Chippewa tribal culture. The college strives to provide a quality learning experience and environment designed to sustain the cultural continuity of the Tribe from past to future generations.